I have finished my latest painting and I’m really pleased with how this has turned out. 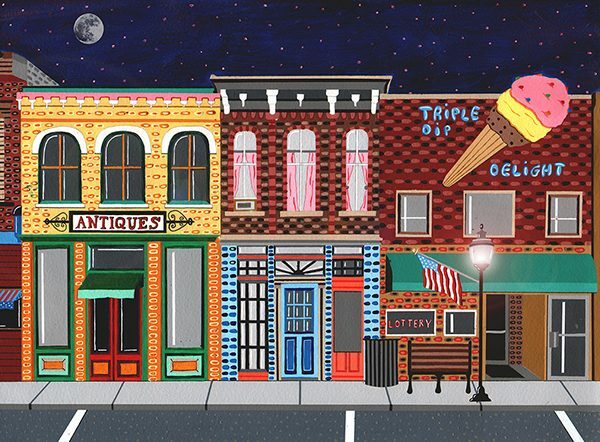 I love painting American streets, especially streets which have old style architecture and colours. With no people in this painting, I really wanted to emphasise the extra details such as the brick work, cracks and odd colours. I hope this comes across when looking at the painting!. As always, the painting is available for purchase from DegreeArt.com, where you can also get limited edition prints of the piece!. I hope you all love it, and as always, any comments are welcome!